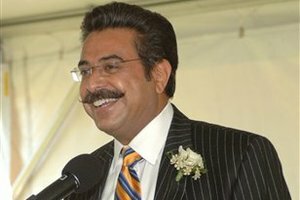 Shahid Khan is the pending owner of the Jacksonville Jaguars. My guess is the league is waiting to make it official until they can prove that the steesh is real. This entry was posted in Fluffy Pushbroom Steesh, Sports Steesh on December 2, 2011 by Los Bulls.